Flickr for BlackBerry | BlackBerry Blast! Research in Motion has released a free software uploader for Flickr. 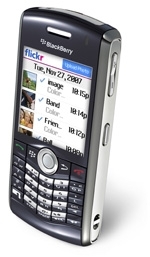 BlackBerry users sers can now upload and manage photos in their Flickr account from their BlackBerry. This mobile photo uploader is designed to offer the same features and functions you’re used to using on your computer. And, because of the familiar BlackBerry smartphone keyboard, menus and prompts, it’s easy to learn, fun to use and it’s free.